Welcome Faith Sharers to our catechist webpage. 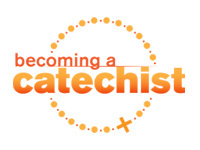 What is a Catechist? A catechist is someone comminssioned by the parish to share their Faith experiences and traditions with our parish youth. You do not have to have an advanced degree in theology to become a catechist. Here are some qualities that will help you thrive as a catechist. Most of all, catechists need a commitment to grow. We don’t have to be flawless in all of these areas, however, we need to recognize where we might be deficient and strive to enrich ourselves. Click here to see our parish current needs! Welcome to St. Patrick's!! Thank you for your consideration and interest in becoming a Catechist!!! First, let's set up an appointment so that we can meet, share our catechist job description, and answer any questions you might have about our Faith Formation program. Second, I will introduce you to our St. Patrick's staff, and give you a tour of our parish center. You will see our spacious dining hall, our class rooms, craft supply room, and library. Our library is filled with great resources like: videos, coloring pages, inspirational books, and posters. Next, I would like to share the curriculum that you will use for your specific grade. Last but not least, in order to promote child saftey, I will walk you through the steps of fulfilling the Diocesan Safe Environment requirements. All of our catechist and volunteers are required to be in compliance with the Grand Island Child Protection Policy. I will also introduce you to some of our other catechist so that you can have mentors to help you. Less experienced individuals will be placed with those who are more experienced. YOU NOW CAN START THE SAFE ENVIRONMENT PROCESS ON-LINE IF YOU WOULD LIKE. PLEASE FOLLOW THE FOLLOWING LINKS. Again, thanks for your consideration! If you are a new catechist, please click on the links below to start the volunteer safe environment process. To learn more about our parish Safe Environment requirements click here. Please download, print out, fill out completely and bring to parish office. *Please give all names you have used including: aliases, maiden or any other previous names. *Do not have to fill out driver's section. *Please sign form after reviewing the Child Protection Policy, click on the following link; /media/1/child%20protection%20policy.pdf, Code of Conduct form, and Back ground Release Authorization and Disclosure forms. * Por favor, dé todos los nombres que ha utilizado, incluyendo: alias, apellido de soltera o cualquier otro nombre anterior. * no tiene que llenar la sección del conductor. * por favor, firme el formulario después de revisar la política de protección de menores, haga clic en el siguiente enlace;/media/1/child%20protection%20policy%20spanish.pdf, formulario de código de conducta y formularios de autorización y divulgación de la versión Back Ground. Must read about your rights. Volunteer Application: Please give reference names and complete addresses for 3 references. Reference Questionnaire: This form does not have to be filled out, it is only included so that you know what is sent to your references. Solicitud de voluntario: Por favor, dé nombres de referencia y direcciones completas para 3 referencias. Cuestionario de referencia: este formulario no tiene que ser completado, sólo se incluye para que usted sepa lo que se envía a sus referencias. For more information please call Pat Mertz or Joan Falcon at (308) 254-2828. For additional information click on the following link. If you are a returning catechist or if you are a new catechist here are some great, helpful, links to help you offer your students a fun, faith-filled class! For planning a lesson, here are some great resources!